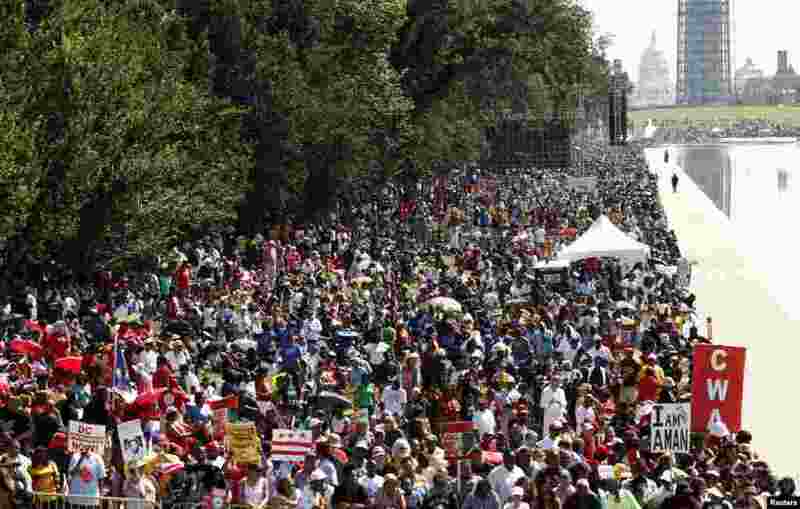 Thousands of people are gathering in Washington to remember the Reverend Martin Luther King Jr's landmark "I Have a Dream" civil-rights speech half a century ago. 1 A tourist points to the exact location where Rev. 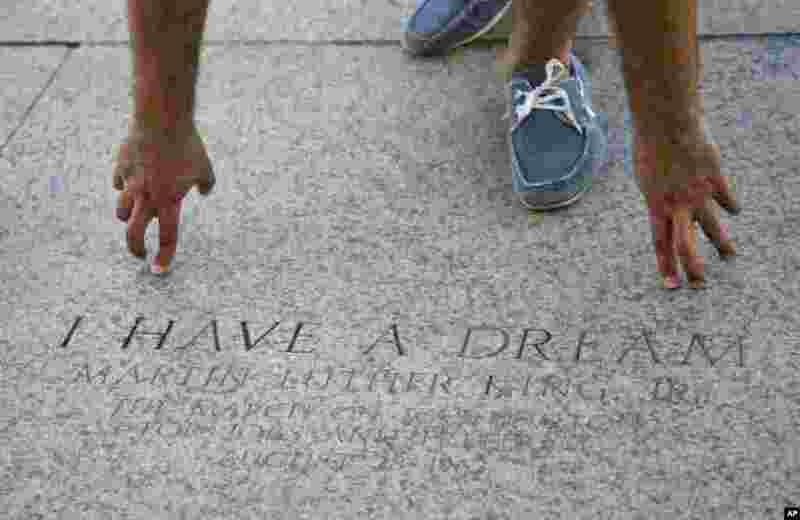 Martin Luther King Jr., gave his famous 'I Have a Dream' speech, at the Lincoln Memorial in Washington, Aug. 22, 2013. 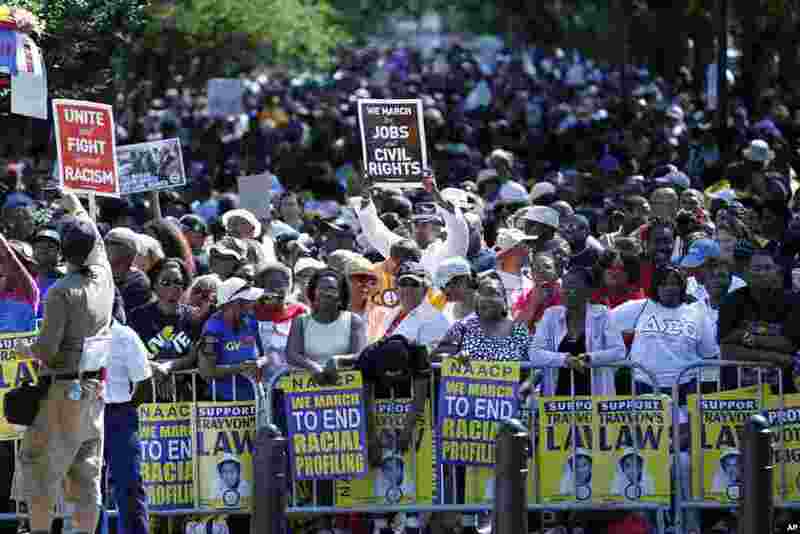 3 Crowds rally at the Lincoln Memorial in Washington to commemorate the 50th anniversary of the 1963 March on Washington, Aug. 24, 2013. 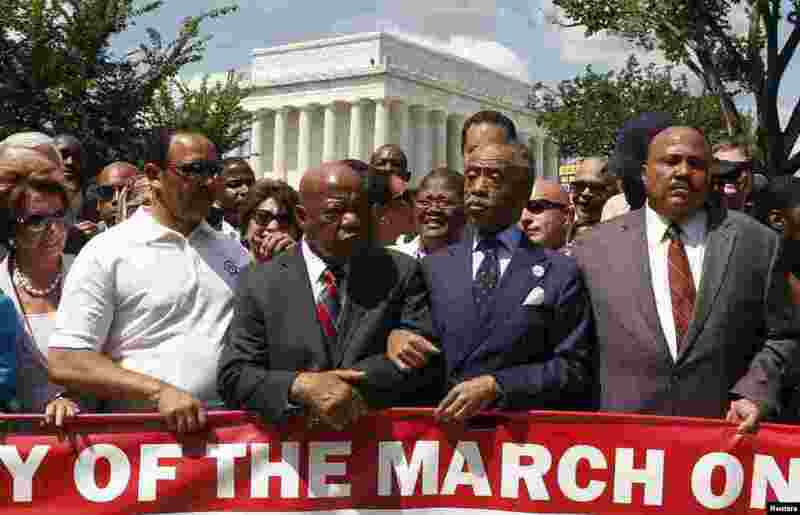 4 Marchers gather along the reflecting pool on the National Mall during the 50th anniversary of the 1963 March on Washington for Jobs and Freedom at the Lincoln Memorial in Washington Aug. 24, 2013.